Details/Instructions: All-natural blend of essential oils and Vitamin E hydrates and strengthens nails and cuticles. 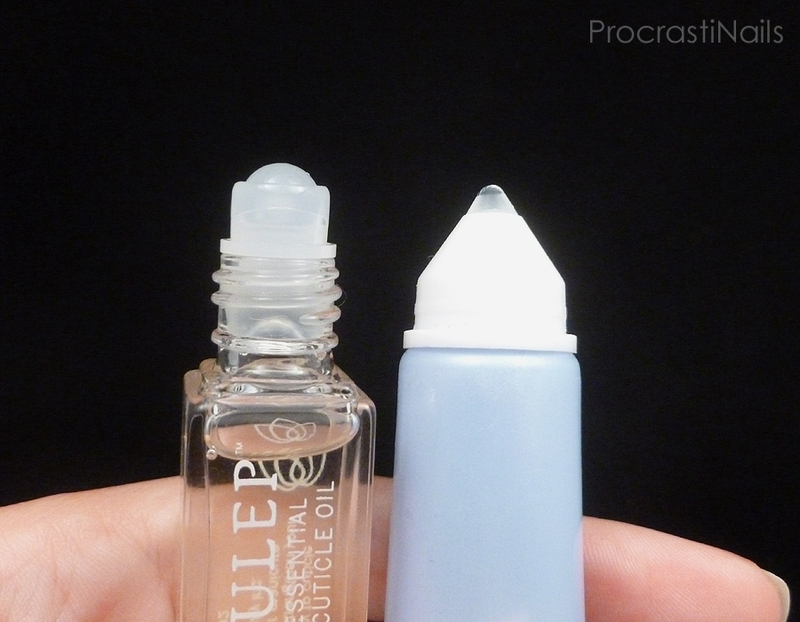 Extends the life of your manicure while leaving a glossy sheen. Use daily to soften rough cuticles and strengthen nails. 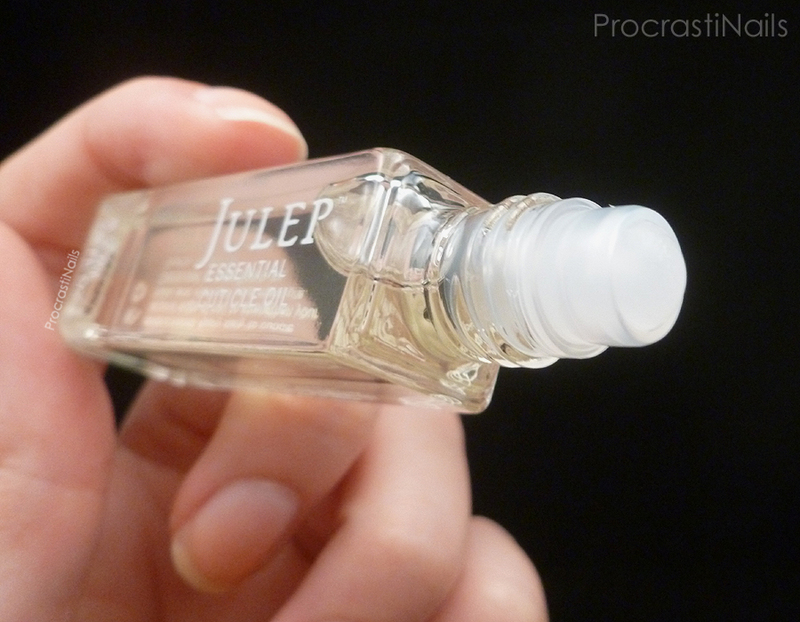 The convenient roller-ball application allows you to take your Julep Essential Cuticle Oil everywhere you go. Ingredients: Jojoba Seed Oil, Sweet Almond Oil, Castor Seed Oil, Rosewood Oil, Vitamin E, Lavender Oil, Ylang Ylang Oil. The instructions told me to use this daily so that's exactly what I did. 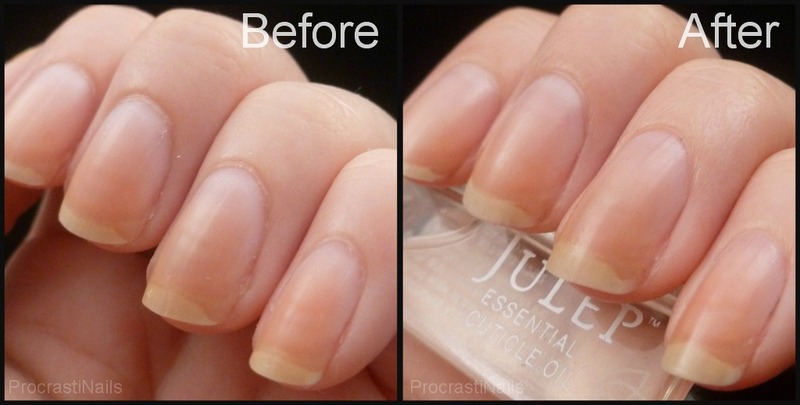 At least once daily for a week (as well as each time after I had used acetone to clean up a manicure) I applied the oil to my nails and cuticles. This was the only nail care product I used in this time as the instructions don't suggest using it in combination with anything else and I wanted to test the product on it's own. I mean, those pictures speak for themselves. 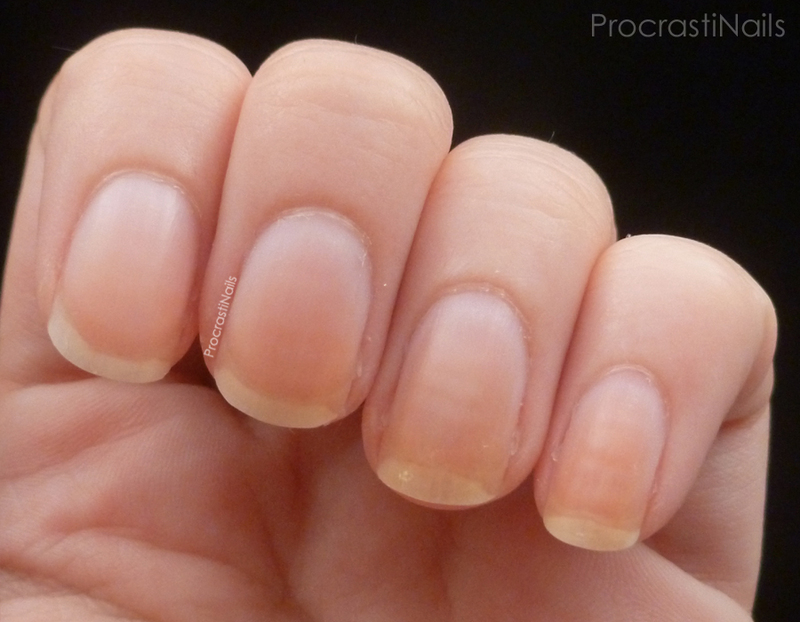 Note that in this time I literally did nothing else to my cuticles... no pushing, no clipping, no nothing. 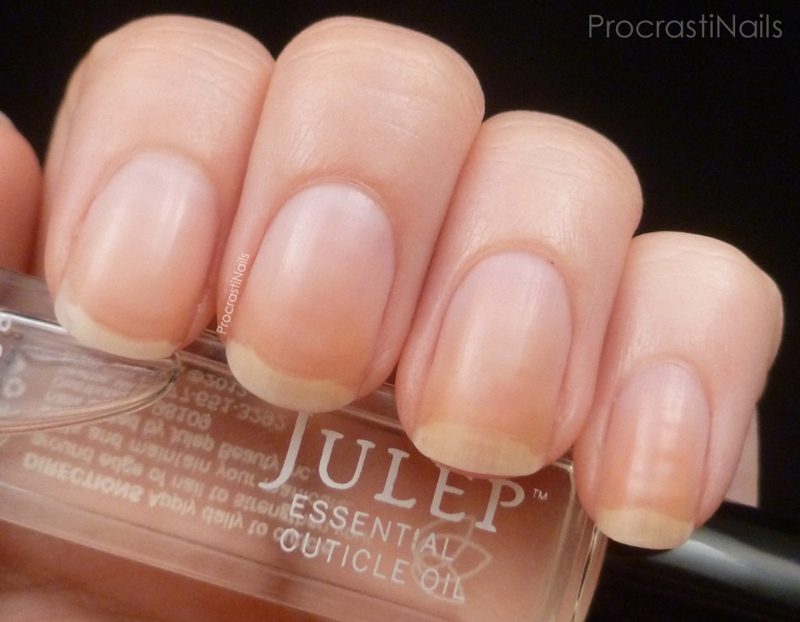 My cuticles are soft and conditioned and my nails feel a bit stronger (though that might just be in my mind). 100% satisified! I'm terrible at keeping up with basic care of my nails and cuticles but hopefully these pictures will help me not to slack again. The scent of this product is quite strong but not unpleasant. In fact, Julep suggests using this product as an aromatherapy tool by cupping your hands near your face and taking a few deep breaths after applying it. I tried using it in this way a few times and it was very nice! Lavender is often used for sleep an calming, and ylang ylang can be used to relax the mind. I can smell a bit of the lavender (one of my coworkers even though this was perfume!) but mainly it smells like earl grey tea to me... Mmmmm. 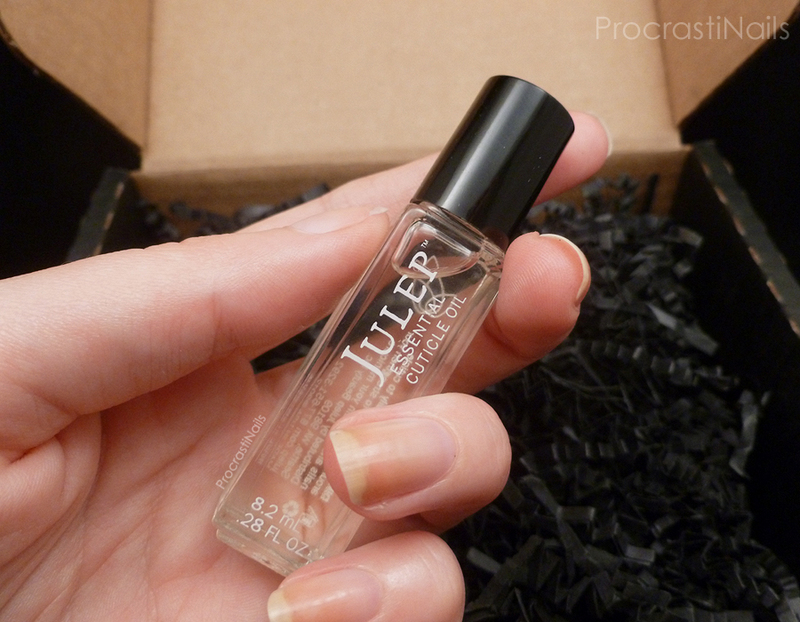 The other tip on the Julep website for this product is to use a small amount on your fingers to tame flyaway hairs - lovely! I love a good multi-purpose product! Overall I'm fairly pleased with this product itself, though the roller-ball for application isn't my favourite - I found it difficult to get enough oil around the sides of my nails. 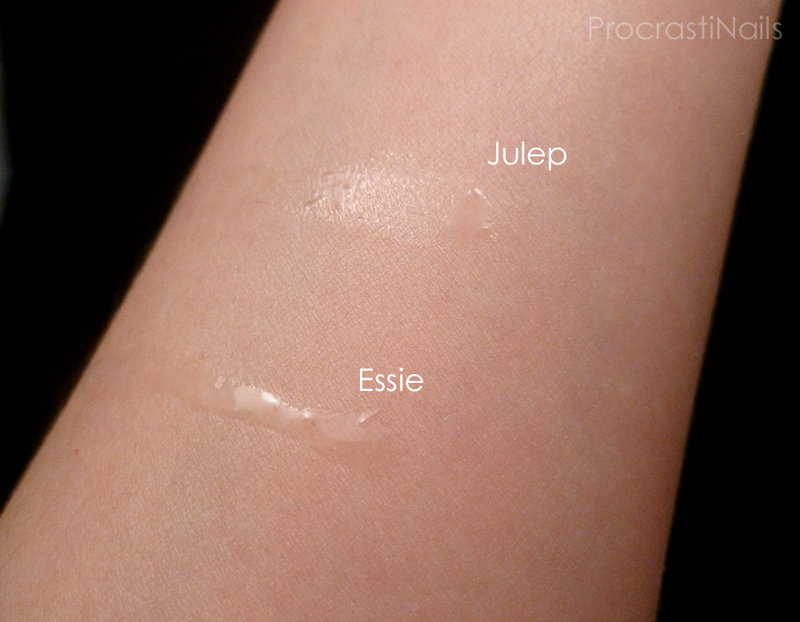 I prefer a nub like on my tube of Essie Smooth Trick Deep-Conditioning Cuticle Oil or a plain ol' brush. That being said I recognize the roller ball is best for preventing leakage in your purse. But that doesn't mean I have to like it. The short answer is no. I don't like the roller-ball and I would prefer something unscented. There are so many cuticle oils on the market that I'm sure I'll be able to find something that fits me just right, so with that in mind I know I won't be buying this again. That being said there's nothing wrong with the product itself, and it worked exactly as expected/advertised. So if you're interested in it give it a try! I love seeing that positive results it gave you. I agree that the packaging doesn't seem to be the best on it though but there's so many cuticle oils out there to try out too. Wonderful review! I'm impressed with the results!